Sophomore Caileigh Walsh has been chosen by the Courier News to first-team all-area as the top center! 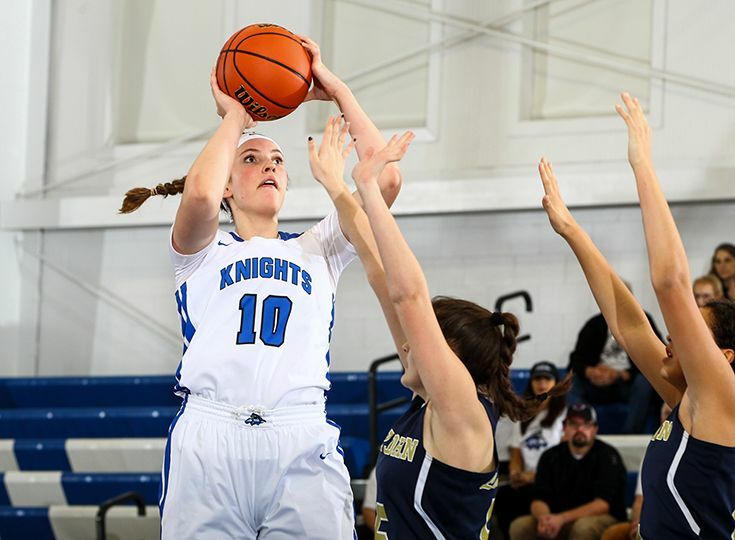 Walsh had a breakout season for the Knights, as she averaged a double-double on the year by scoring 18 points and recording 11 rebounds per game. Devyn Scott ’20 and Ella Fajardo ’21 were selected as Honorable Mentions.